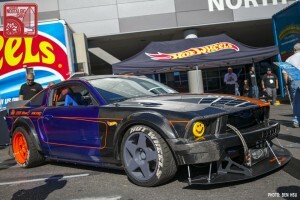 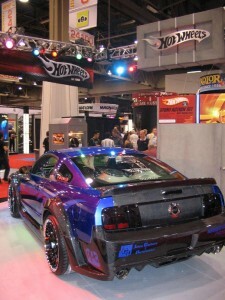 For SEMA 2014, Action Vehicle Engineering worked with Hot Wheels on this Mustang project. 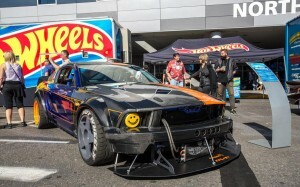 The wheels were made special for Hot Wheels, and the whole vehicle was meant to be envisioned as a Japanese style race car. 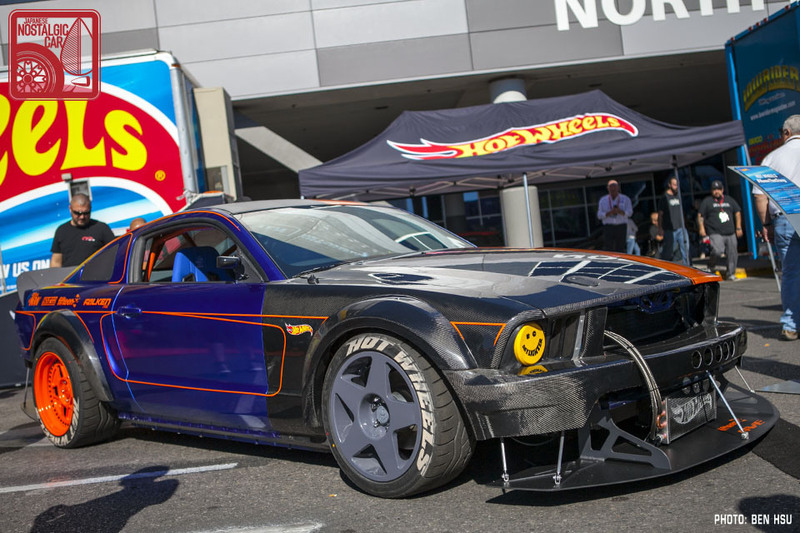 It also has a special wrap design, with decals giving special thanks to Sparco, Falken Tires, KW, Fifteen 52 and Clarke Designs.